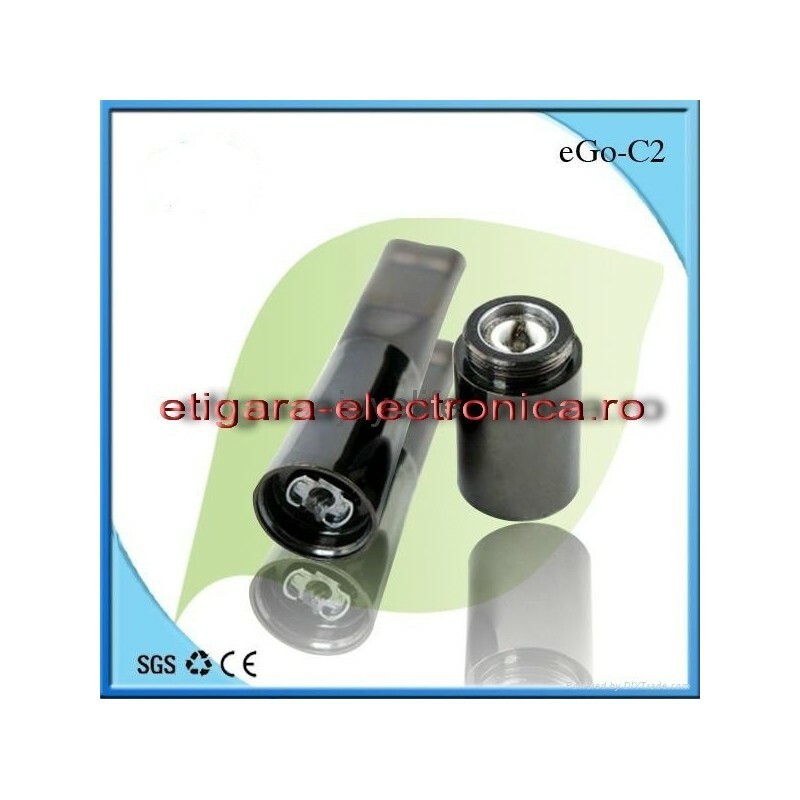 Atomizer Vapo eGo-C2. This atomizer can be disassembled to be cleaned. Remains fixed in this release pin in the top removable cone (the resistance) - Reduce the risk of losing it. Silica cord thickness was changed to allow better liquid food. Still recommend you consider setting by fluid cord used. This atomizer can be disassembled to be cleaned. Silica cord thickness was changed to allow better liquid supply. Still recommend you consider setting sillica by fluid used. Available colors: Chrome (stainless steel) and gun black. - 1 pc. Transparent White Silicone cartridge cap.